Pack Type: GM. OR ML. To cater the variegated needs of our esteemed customers, we are highly engaged in offering a wide array of Mixed Fruit Juice. Creating a beverage is an easy task, but creating an extraordinary beverage is itself a task. Bayfield bring international and ethnic beverage in instant form to make your barista’s life easy. We have a range of beverage mixes which can be prepared instantly by any un skilled person. We are amongst the reputed organizations, highly engaged in trading an optimum quality range of Pineapple Fruit Juice. We design fruit juice processing plant and supply turnkey plant and systems. The various equipment's we manufacture in this segment are: plant equipment's and the utilities (refrigeration / electricity / steam / soft water) required. 200 ml x 12 Bot. PCAPL is committed for customer delight and always agile and challenging the status quo to offer innovative solutions with new products & new concepts. Keventer is the Eastern India franchisee of Parle Agro Ltd., which owns iconic fruit beverage brands like Frooti, Appy & Appy Fizz. We are responsible for the entire process chain for the above products from procurement and manufacturing to distribution. 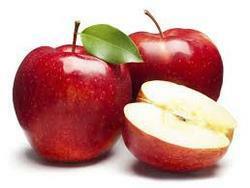 We are the leading organization, actively involved in providing a diverse range of Fruit Juice Plant. Furthermore, we offer this product at nominal costs. As per the set industrial standards of our company, we are engaged in offering a comprehensive range of Fruit Beverages. The products of our company are processed in hygienic environment and known for its freshness. This product is widely recommended amongst the customers for its usage in various places and safe to consume.